Anyone get the license plate? I feel like I’ve been hit by a bus, which has unfortunately affected my sewing and crafting. I find myself holding my knitting rather than actually knitting it. And my motivation to actually work on anything to sew is nil. I did make 2 pairs of flip flops yesterday though. 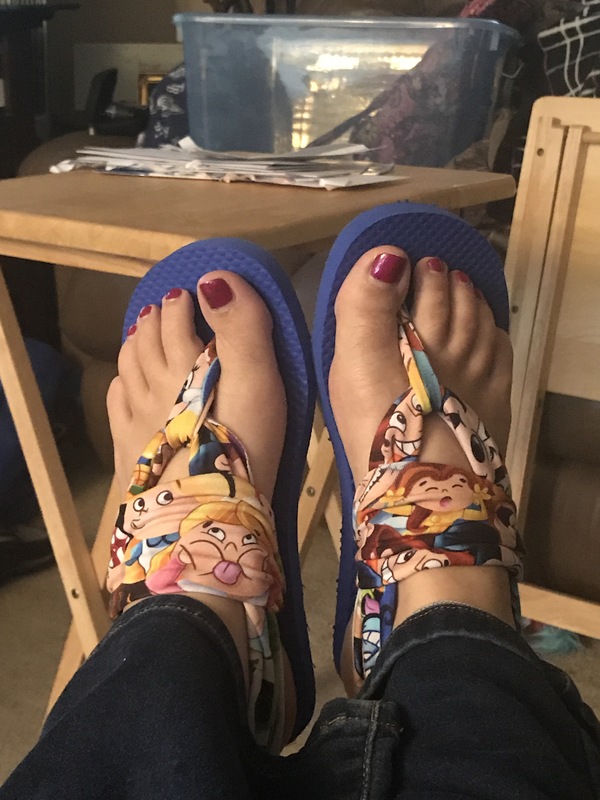 Used up some scraps from rainbow brite and funny faces, just wish I had grabbed the right size flip flops for me in the first place. Tutorial here for the method behind the madness.